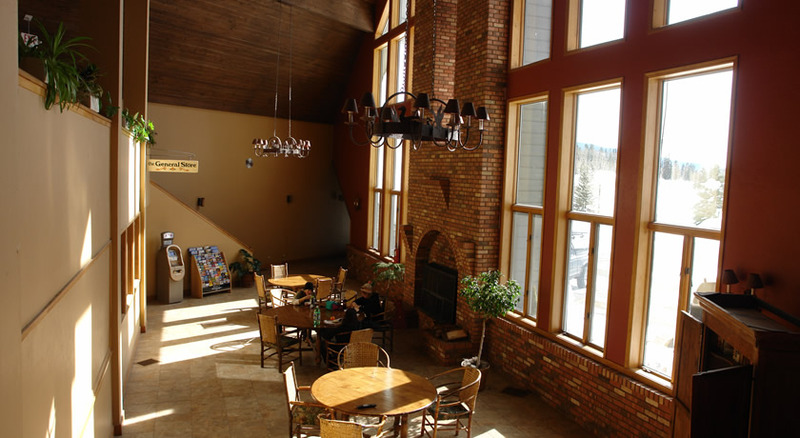 Just two miles north of Purgatory Resort's main entrance, Cascade Village has a large selection of vacation rentals and accommodations, ranging from from a studio for two, to a three-bedroom townhome with incredible scenic views. 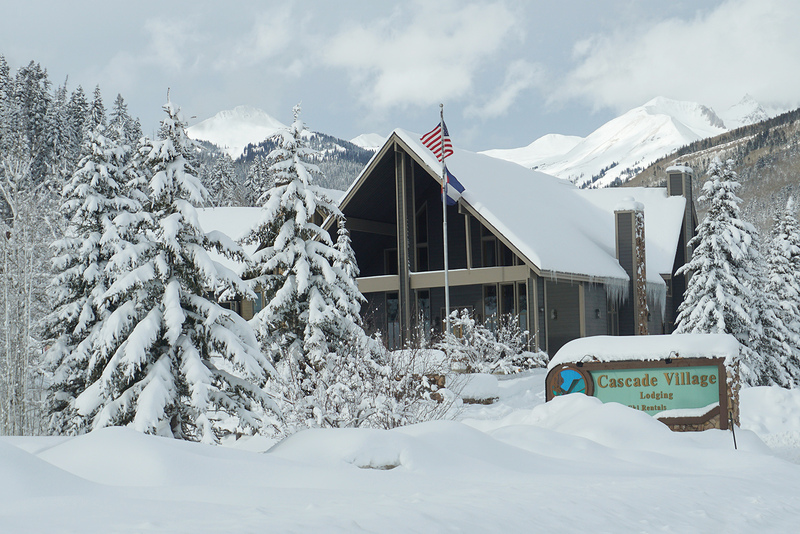 Cascade Village is located at the foot of Engineer Mountain beneath the spectacular Needles Mountain Range and features the quiet seclusion of a winter wonderland with the comfort of a cozy resort. All units feature wood burning fireplaces for mountain rustic comfort. Property amenities include indoor pool, fitness equipment, game room and arcade, complimentary ski shuttle, ski storage, on-site laundry and covered garage parking. Units do not offer Air Conditioning. All units require stair climbing, elevator service not available. All units are individually owned by private parties and may vary in amenities and bedding.Guests of Cascade Village also have access to the Purgatory Lodge heated outdoor pool and slide and relaxing hot tub. Cascade Village is located 2 miles north of the Resort entrance. However checkin is located at 24 Sheol street. General	| Cascade Village CHECKIN is located at 24 Sheol St, Durango Colorado 81301. Once checkin process is complete front desk staff will provide a map to your unit. 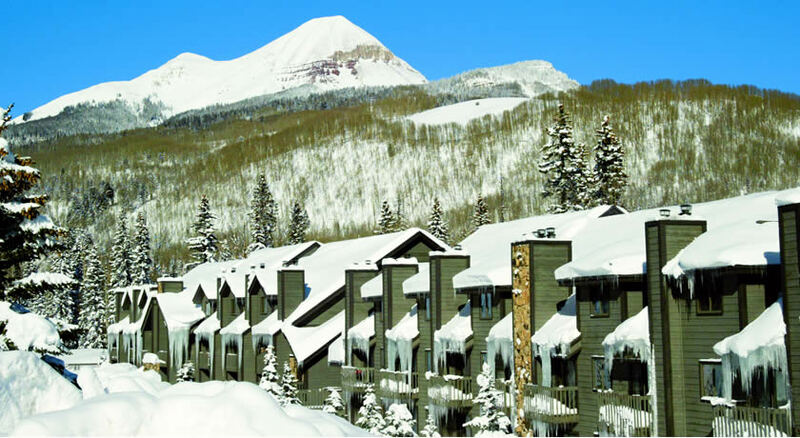 Just two miles north of Durango Mountain Resort's main entrance, Cascade Village has a large selection of vacation units with incredible scenic views. Cancellation	| SUMMER CANCELATION POLICIES: Non-Holiday: If cancelled prior to 24 hours of arrival, no forfeiture, if inside 24 hours you will forfeit one nights lodging. Holiday: If cancelled prior to fourteen days of arrival you will forfeit your two nights deposit, if cancelled inside of fourteen days you will forfeit the amount equal to your entire stay. WINTER CANCELATION POLICIES: Non-Holiday: If cancelled prior to forty-five days of arrival, you will forfeit one nights lodging, if cancelled inside of forty-five days you will forfeit the amount equal to your entire stay. Holiday: If cancelled prior to sixty days of arrival, two nights will be forfeited. If cancelled inside of sixty days of arrival, the amount equal to the entire stay will be forfeited. Winter reservations are non-refundable without the purchase of trip protection at the time of booking. TRIP PROTECTION: Is available, price based on 10% of the total reservation value prior to tax. With the purchase of this protection, you may receive a full refund (minus the cost of the protection,) for specific reasons only for cancellation, up until the day of your arrival. DMR products only! Lodging, lift tickets, ski rentals, etc. AIRFARE IS NOT INCLUDED! 10% of the total value prior to tax. This does not include outside vendors (train tickets, sleigh rides, snowmobiling, etc.) Only available and charged in full at the time of booking, non-refundable. Entire deposit refunded except 10% trip protection. COVERED - Unforeseeable serious injury or death of the insured, a traveling companion or family member. Weather conditions causing a delay of 24 or more hours or cancellation of travel. Home being made un-inhabitable by fire, flood, vandalism, burglary or natural disaster. Being subpoenaed, required to serve jury duty, hijacked or quarantined. Documentation of proof will be required - An actual examination by the Physician who advises the cancellation must take place before the cancellation is made. Notification to the appropriate travel supplier is required. NOT COVERED - Carrier caused delays, such as mechanical difficulties. Cancellation or default by airline or tour operator. Change in plans ("I don't want to go") normal pregnancy or childbirth, financial, business or contractual obligations ("My boss changed my vacation," "I can't afford to go.") Any government regulation or prohibition, war, civil disorder, nuclear reaction or contamination. Pre-existing medical condition shows within 60 days of arrival. Please call 1-800-525-0892 or email us at reservations@durangomountain.com for coverage details. Deposit	| SUMMER DEPOSIT POLICIES: Non-Holiday: A one nights deposit is due at the time of booking and final payment is due upon arrival. Holiday: A two night deposit is due at the time of booking and remaining amount is due fourteen days prior to arrival. WINTER DEPOSIT POLICIES: Non-Holiday: A one nights deposit is due at the time of booking with remaining amount due forty-five days prior to arrival. Holiday: A two nights deposit is due at the time of booking with the remaining amount due sixty days prior to arrival.